Bees Knees is aptly named, as he really is a looker, with great presence and a personality to match. 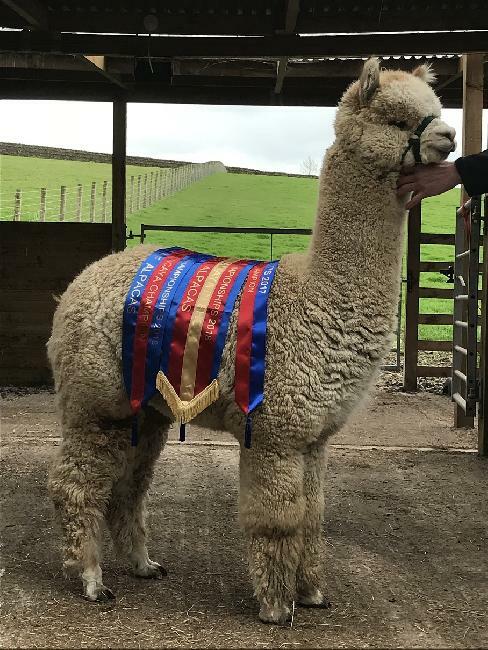 He is sired by Timbertop CT Goldmine of Beck Brow, whose progeny are really making a mark on the show circuit (including Fawn Female Champion 2018 BAS National Show - to name only one). Bees Knees comes from our top line of females. His grand dam is Ep Cambridge Lady Gaga who was awarded Light Female Champion at the BAS National Show 2017 and Supreme Champion NWAG 2017, at nine years old. Her uniformity of micron is incredible for her age. Lady Gaga and her daughters have produced so many of our coloured champions. Indeed Beck Brow Cat�s Pyjamas (sire: Waradene St Patrick), the dam of Bees Knees, is a Supreme Champion herself. 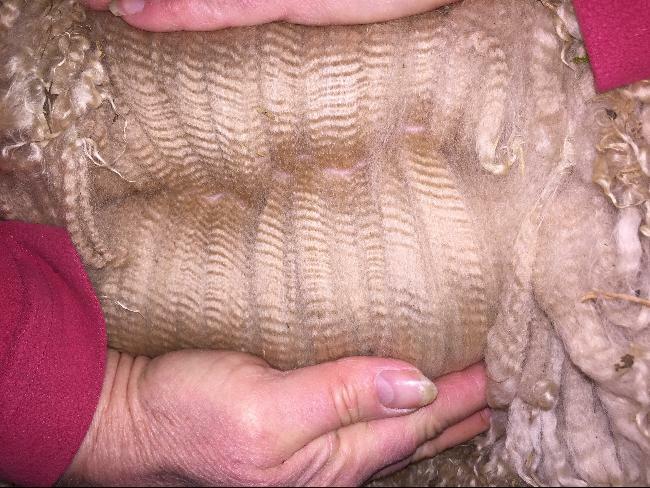 It is this longevity of fineness on both sides of his pedigree, and incredibly uniformity from his dam, that gives us great faith that Bees Knees will be a stud male of note going forward. Of course not to omit that he has very good density, organisation and brightness on a perfect frame (okay we like him a lot ).